Wisconsin Family Health Insurance Company is officially known as WPS Health Insurance. The company began in the 1940s by the State Medical Society to assist individuals who were having difficulties paying for health care. In 1946, the plan was turned over to Wisconsin Physician Service, WPS, to manage the insurance. Compare online health insurance rates by entering your zip code into the toolbox now! 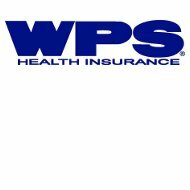 WPS provides insurance to residents of Wisconsin. Policies are offered to individuals, groups, and seniors. It is one of the only non-for profit insurance companies in the state of Wisconsin. WPS quotes can be obtained online but you must first choose the type of plan you are interested in purchasing. However, the website does provide an option of comparing individual and family plans when you click on that particular link. Quotes for group insurance can only be obtained by contacting a WPS agent or a sales representative. A list of sales offices is available on the WPS website. You can call, email, or visit an office that is convenient to you. Sales Representatives can be reached at 1-800-811-1670. Once you have decided on the plan that best suits your needs, you can apply on the website. Individuals who qualify under group coverage will need a group number or authorization number from their employer to complete an online application. Applications for group enrollment are also available in a downloadable format. Under the WPS Individual Preferred Plan, you can also choose to add or decline dental coverage with Delta Dental. Within the WPS High Deductible Health Plan is a federally qualified Health Savings Account for individual and family health insurance coverage. You must meet a deductible first before the insurance company begins paying for any coverage. The HSA option allows you to deposit money into the account to be used for qualified medical expenses until your deductible is met. The WPS High Deductible Health Plan also offers the option of adding or declining dental coverage through Delta Dental Insurance. The WPS Instant Protection Plan provides coverage to individuals and families who only need insurance for less than 185 days. The plan usually appeals to recent graduates, those who are in between jobs, and newly retired or newly hired individuals. The IPP covers hospitalization, emergency care, diagnostic and laboratory testing, and prescription medication. The policy provides additional coverage, which can be reviewed by downloading the online brochure. For group coverage, WPS offers the WPS Group PPO Plan. Under this plan, policyholders can see in-network or out-of-network providers. Deductibles, co-payments, and coinsurance amounts can be tailored to meet the company or group’s needs. Under the Group PPO Plan, employers can add on the ConsumerSelect option, which is a plan that determines the set amount of medical benefits to be paid out. Employees can purchase a variation of this plan to provide a higher amount of benefits to be paid out. The Health Savings Account plans require individuals to have a high deductible but funds are set aside in the HSA to help pay for medical expenses until the deductible is met. The HRA plans also require a high deductible, but the employer funds an account for the employee to use towards medical expenses. Once the funds are gone, the employee begins funding the account like an HSA. Lastly, the Patient Choice plan requires policyholders to only see doctors within network. The WPS Value Incentive Plan is designed for individuals to benefit when they remain healthy. Physicians and health care facilities are contracted with the WPS to provide lower costs to individuals who choose to visit these places for preventive care and medical care rather than going to emergency rooms. WPS Bridge65 offers insurance coverage to individuals until they are eligible for Medicare. Under the plan, deductibles can be customized to meet your needs, prescription drug coverage can be chosen and negotiated, and you also have the option of adding a Health Savings Account to your policy. For additional information, you can download a brochure on the WPS website. Once you become eligible for Medicare, individuals enrolled in WPS Bridge65 can use the funds in their Health Savings Account to help pay for Medicare Part B and D premiums. Dental Insurance is another option for WPS Bridge65 policyholders. You can choose to have or decline dental coverage with Delta Dental Insurance Company. You can locate a health insurance provider in your area by entering your zip code. Do it now and receive immediate health insurance quotes!